Let the Christmas in July Readathon begin! Are you participating? What are you reading? Check out what I'm reading below. I have been redeemed! I am listening to the audiobook version of A Boy Called Christmas by Matt Haig and Chris Mould. How's your reading going? See - this is why I don't do TBR lists that much. It's just an excuse to go off the rails. And off I go reading The Valentine's Arrangement: A Hard Feelings Novel by Kelsie Leverich, a book set around Valentine's Day. Not Christmas. LOL! Finally! I finished Reading with Oprah: The Book Club that Changed America by Kathleen Rooney. I have been reading a smidge at a time for months. I wasn't a follower of the book club, but I may go back and read some of the books. Were you part of the book club? The Reverse Summer Readathon ends at 8 pm tonight. I am listening to Brain on Fire: My Month of Madness by Susannah Cahalan (7 hours and 48 minutes) on audiobook today. Hello neighbor! 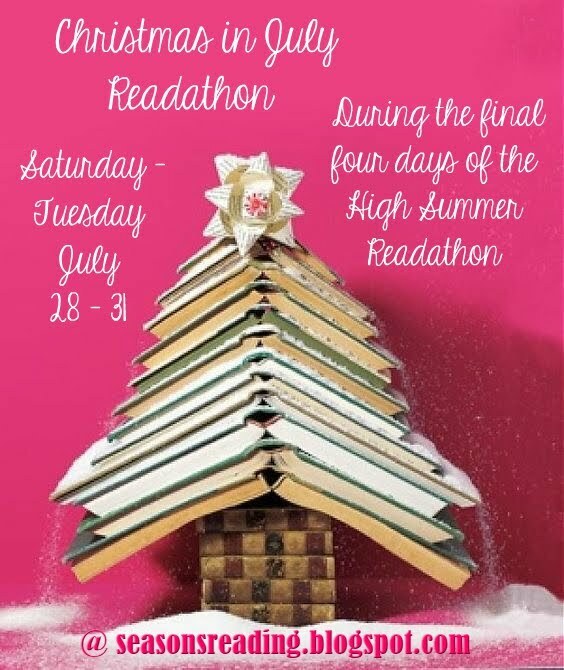 The Christmas in July Readathon will take place during the final four days of the High Summer Readathon. So, July 28 - 31. Both readathons are hosted by Michelle at the True Book Addict/Seasons Reading. Click the banner below for more details. I am reading some books in the Clique Series by Lisi Harrison (middle grade) for High Summer. I plan to switch it up and read some Christmas-themed books during Christmas in July. Are you planning to participate? What are you planning to read?